The School Board voted on December 6, 2018 to adopt the Recommended Boundary Map 6-1A effective September, 2019, after a boundary adjustment process that involved Abingdon, Barcroft, Drew, Henry (Fleet), Hoffman-Boston, Long Branch, Oakridge and Randolph. The approved School Board motions on boundary changes and grandfathering are available below. Thank you to the community for participating in this process. We look forward to working with our staff and families in making the school transition a positive experience for all students. Families of students who live in the 24 planning units reassigned to another elementary school for the 2019-20 school year were notified by U.S. mail in January, 2019. Letters included information on how the boundary changes impacts them, including: families eligible for grandfathering, families with connection to Joint Base Meyer-Henderson Hall and the child development center, students who attend immersion schools, those moving to a new school, or remaining at their current school. Grandfathering letters and forms have been mailed to eligible students. The deadlines to return the forms to families’ current school’s registrar extended through January 29, 2019. We are working closely with school principals to plan a smooth transition and to ensure that all students and families feel welcome at their schools. Student visits are being planned in early Spring 2019 for those whose planning units were reassigned, and will include school tours and the opportunity to meet the teachers, staff and students. Additional topics related to these boundary changes will be addressed in the APS Annual Update provided to the School Board in January, prior to Kindergarten Information Night on January 28, 2019. Please contact engage@apsva.us with any questions. Maintain the current attendance zone boundary for Randolph, which is fully walkable. It is likely that all elementary schools, division‐wide, will be included in the 2020 attendance zone boundary change process. I move that the School Board approve Elementary School Attendance Zone Boundary Recommendation #6‐1A. These elementary attendance zone boundary changes will apply in September 2019 to current 2018-19 students in grades K through 4 and to students residing in the new attendance zones for Abingdon, Barcroft, Drew, Fleet, Hoffman-Boston, Long Branch, and Oakridge, and the existing, unchanged attendance zone for Randolph. Active military personnel and DoD civilians whose children attend the Cody Child Development Center. I move that students who reside in planning units that will be moved to different elementary schools, and are in grade 4 today (next year’s 5th graders), and their younger siblings, who will be concurrently enrolled at the same school, may be grandfathered to remain at their original school until the older sibling moves on to middle school for the 2019-20 school year. When the older grandfathered students move on to middle school, their younger siblings will move to the neighborhood school to which the planning unit in which they reside has been reassigned. APS will provide transportation to grandfathered students and their siblings for the 2019-20 school year only. CORRECTED–School Level Data Table #6 and #6-1 – Posted Nov. 30, 2018, 5 p.m.
APS enrollment is growing! To ensure that all students can learn and thrive in safe, healthy and supportive learning environments, APS is opening new elementary schools and adjusting boundaries to take effect in September 2019. 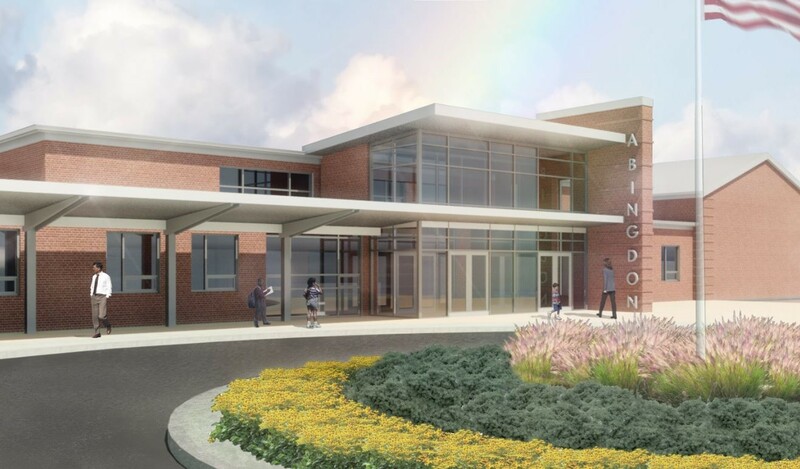 We are excited to open the new Alice W. Fleet Elementary School and Drew Model School as a new neighborhood school, and to welcome the Montessori program at Patrick Henry Elementary School. As APS works to use all our facilities to best effect, some schools have experienced over capacity, leading to the need for new schools and new attendance zones.The Fall 2018 Elementary School Boundary Process will help balance enrollment across several elementary schools, with new boundaries taking effect for the 2019-20 school year. This webpage offers an overview of this boundary process, the schools involved, a timeline, and resources to keep you informed and engaged.There are several opportunities to provide your input throughout this process – please see the timeline below for staff open office hours sessions, community meetings, questionnaire, and email.This page will be updated regularly with additional materials such as maps, podcast episodes, community input and more. September 26—“Getting Started” Community Meeting, 7-8:30 p.m.: Come review initial boundary scenario as staff make a presentation and gather input at Kenmore Middle School (200 S. Carlin Springs Rd., 22204); simultaneous interpretation available. Watch presentation live online. Sept. 26–Oct. 10 (closes at Noon)—Elementary School Boundary Community Questionnaire: Stakeholders are invited to share their input on the initial boundary scenario using an online questionnaire at www.apsva.us/engage. October 17—“What We- Heard” Community Meeting, 7-8:30 p.m.: Come review boundary scenario and hear about community input gathered at Kenmore Middle School (200 S. Carlin Springs Rd., 22204); simultaneous interpretation available. Watch presentation live online. October 29—Deadline for community input via engage@apsva.us on the boundary proposals. November 8—School Board Meeting, 6 p.m. (note new start time), at Syphax Education Center (2110 Washington Blvd., 22204): Staff will present an Information Item on elementary boundaries. Attend in-person, sign up to speak or watch live online. November 27—School Board Public Hearing, 7 p.m., at Syphax Education Center (2110 Washington Blvd., 22204): Attend in-person, share your input on elementary school boundaries, or watch live online. December 6—School Board Meeting, 7 p.m., at Syphax Education Center (2110 Washington Blvd., 22204): The School Board will vote on elementary school boundaries that will take effect Sept. 2019. Attend in-person, sign up to speak or watch live online. January 28, 2019 (Snow Date Feb. 4)—Kindergarten Information Night, 7 p.m., at Washington-Lee High School: Families will be able to confirm their attendance zone for the 2019-20 school year. Attend in-person or watch live online (link available closer to event date).